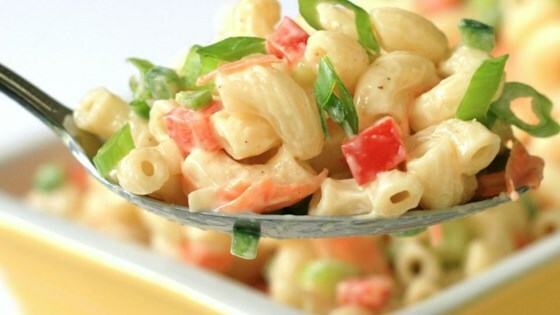 "Whether it's sitting next to some smoky ribs or just a humble hot dog, this deli-style macaroni salad will always be a crowd favorite, as long as you pay attention to a few key details." You can use the tops of the green onions to chop up and use as a garnish. This is the best tasting macaroni salad I've ever made.